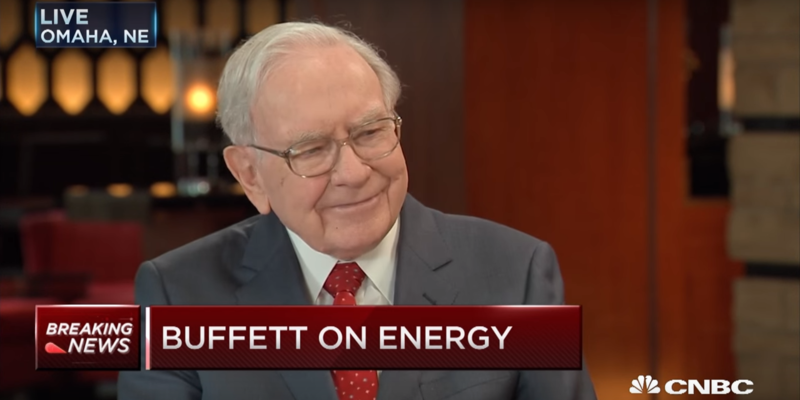 In a rare interview this week, Billionaire CEO of Berkshire Hathaway Warren Buffett discussed his reason for successfully lobbying for a change in net metering in Nevada, where Buffett owns the state’s largest electric utility, that effectively stopped the growth of residential solar installations in the state. Net metering rules regulate the amount of credit homeowners with solar panels get when exporting surplus energy generated from their installation back onto the utility grid, which the utility can then sell to other customers. In late 2013, Berkshire Hathaway’s energy group bought Nevada’s largest public utility, NV Energy. It benefits from a virtual monopoly on energy in the Las Vegas valley, which makes it a very succesful business with over $12 billion in assets and over $100 million in annual net income. For years now, the organisation has been lobbying the state’s Public Utilities Commission to approve a 75% reduction of the price electric utilities pay for electricity generated from rooftop solar, which it eventually managed to do in December 2015. The new rule makes net-metering uneconomical and “effectively shut down” the homeowner and 3rd party-owned rooftop solar industry in Nevada, giving a monopoly to utility-owned systems. Solar installers in the state are shutting down their businesses because homeowners are not even considering the option to go solar under the current net metering rules. His logic is simple, he wants to have to pay wholesale electricity rates for the energy generated by rooftop solar instead of the same price NV Energy is charging these customers since he says it will penalized customers without solar panels. Of course, the more accurate explanation is that it will indeed penalize other customers because NV Energy was planning on making them pay the difference instead of biting the bullet. Most homeowners connected to the grid would have agreed to an increase in order to contribute to the cost of maintaining the grid, but a direct 40% increase, which will soon double, is simply the end of solar in Nevada, until off-grid solutions become available. They claim that the company provided false and/or incomplete information to the PUC in order for it to approve the net metering changes.